Evangel Classical School – Risus est bellum. 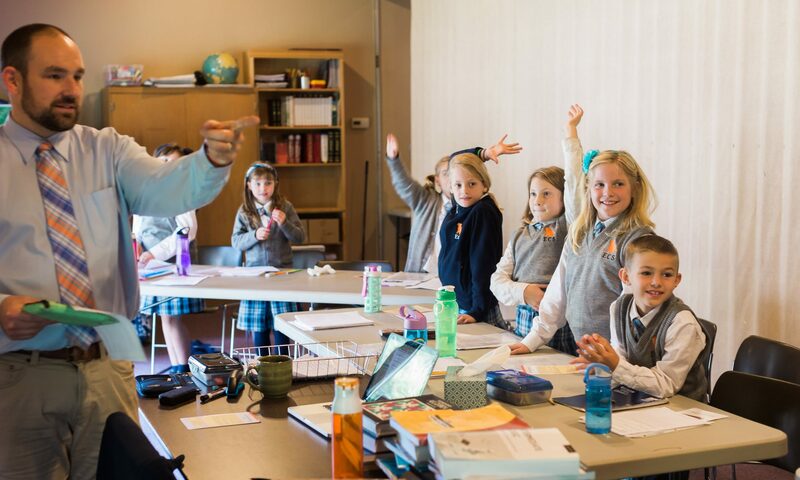 We are a K-12 classical and Christian school in Marysville, Washington. We meet for classes from 9:00 AM to 3:00 PM Tuesday through Friday at 9015 44th Dr. NE. Come by or email to arrange a visit. we believe that submission to Christ is the starting point for education. we proclaim Christ’s sovereign lordship in every arena of life. we employ the curriculum of the trivium: the grammar, the logic, and the rhetoric. we help our students to understand and appreciate our position in Western Culture. we embrace that Christians who are happy are the most useful for Christ, so we laugh…a lot. Now enrolling new and returning students for the 2019-20 school year. Paperwork and deposits are due April 9, 2019. See more details here. We believe, love, and desire to live the evangel of Christ–the gospel–so much that we named our school after it. Here are some of the reasons why.